Having a nice smile is a dream many people have. It can seriously change your life around. Just that boost of confidence we can get when we smile at ourselves in the mirror is enough. But seriously can get us very far in life because how important are our looks. A white smile tells a lot about us to the world. It says a lot about character, health and many things that we often do not see by ourselves. People can tell a lot about our habits and personality by looking at our smile. So by having white teeth we can improve ourselves and our relations with others. One way to achieve this is by getting dental veneers. These masks are installed in front of the tooth giving them new life. They are cheap especially in Los Algodones and serve as a nice solution for bad teeth. 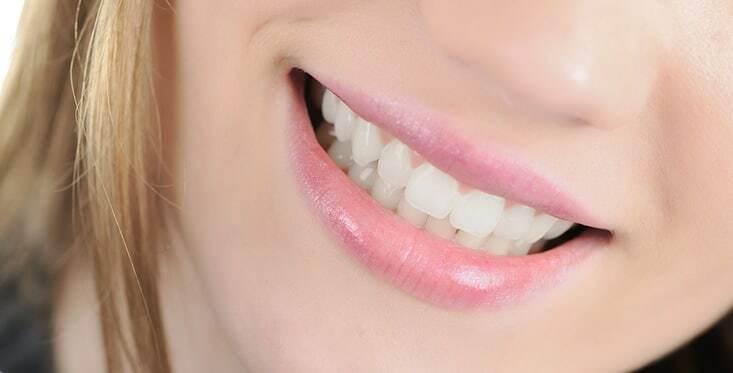 What exactly are dental veneers? Veneers are a marvel from dental science because they can change a smile 180 degrees. It is basically a film made from acrylic resin or porcelain that will be cemented in front of the tooth. It acts like a mask and your teeth will look and feel nice. Many celebrities and stars gets a dental make over and it is all thanks to veneers in most cases. Veneers can help to get rid of chipped teeth, fractured and even stains. There is almost no condition that cannot be solved with dental veneers. The only thing to take in mind is the condition of the tooth. It need to have enough for the dentist to be able to wear it down a little just enough to put the veneer in place. That is why it is important to take an evaluation first from your dentist. Here at Dental Solutions in Los Algodones Mexico offer your great prices for dental veneers. We work only with porcelain, the best material for veneers so your teeth will look great after the treatment. Contact us now to see more prices and make an appointment for your new smile. We work with the best dentists in Los Algodones following ADA standards and fluent in English. What kind of dental veneer should I get? As I mentioned above, there are many kinds of dental veneers. There are many materials available out there so if you research a little you will find a lot of them. Right from the get go I want to say that those DIY kits are no good in the long run. They are not made to last and you will waste your money replacing them over and over. Always get your veneers in a dental clinic, dentists will always know what is better for their patients. As for the material, nothing beats porcelain. It is all thanks to the proprieties of the porcelain, you will not find anything closer to the natural tooth. It offers great resistance and consistency so you do not have to worry about speaking and eating without them breaking. I do not suggest acrylic veneers because they can break easily. Although they are pretty cheap , it is better to spend a little more for more quality.